In Virgil’s epic Aeneid, Venus seduces Vulcan and persuades him to forge weapons for her son Aeneas. 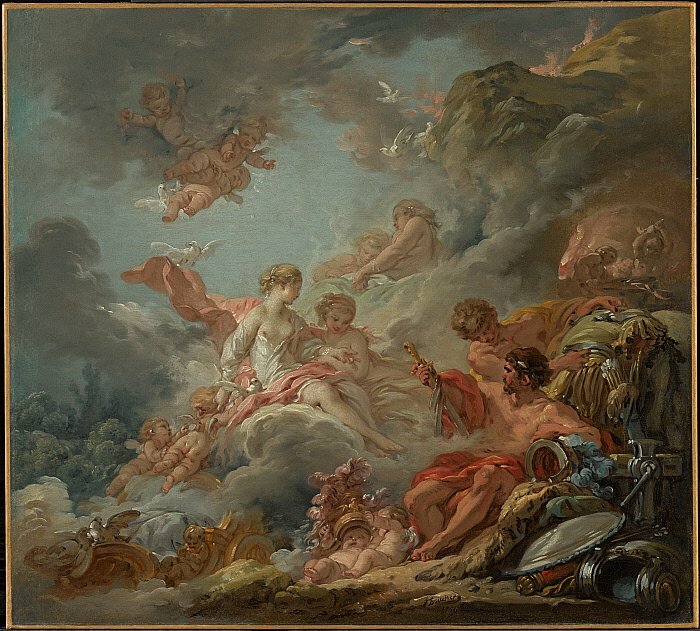 Boucher’s painting shows Vulcan offering the goddess a sword; at his feet are two putti playing with a plumed helmet, and behind him are a shield and armor. 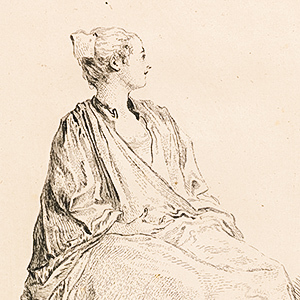 This work was a preliminary sketch for a tapestry design—one of a set commissioned from four different artists by the marquis de Marigny, an influential arts administrator under King Louis XV. 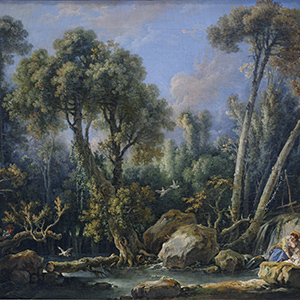 This vivid and colorful little painting is related to a tapestry design many times its size, which was exhibited at the Paris Salon of 1757. The painting in the Clark collection was once owned by the marquis de Marigny, who commissioned François Boucher, Louis Michel Van Loo (1707–1771), Jean-Baptiste Pierre (1714–1789), and Joseph-Marie Vien (1716–1809) to produce a series of four paintings devoted to the loves of the gods as designs for Gobelin tapestries. At the posthumous sale of Marigny’s collection in 1782, this sketch was described as full of spirit and fire, and it is, indeed, filled with restless movement and small explosions of color and brushwork. The composition, driven as it were by the wind, revolves around the central figure of Venus supported by a cloud. Her husband, Vulcan, is seated at the right, beside a heap of armor. He seems to be showing Venus the sword made for Aeneas, while at the right an attendant brings him the newly completed breastplate and two putti play with the plumed helmet. Above, in a fire lit cave, two Cyclopes work at an anvil. The theme of Venus at Vulcan’s forge was a favorite of Boucher, who painted it many times. This version shows the moment, in the eighth book of Virgil’s Aeneid, when Venus collects the weapons that she has seduced Vulcan into making. Her chariot, visible amid the clouds at the lower left, waits to carry her away. 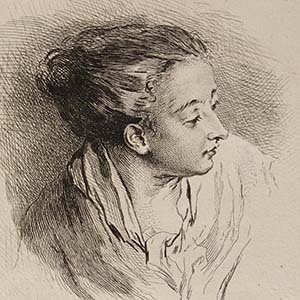 Boucher, an archetypal painter of rococo themes and a friend and protégé of Madame de Pompadour, made many tapestry designs. —David S. Brooke, excerpted from The Clark: Selections from the Sterling and Francine Clark Art Institute, Steven Kern et al. (New York: Hudson Hills Press, 1996), p. 34. 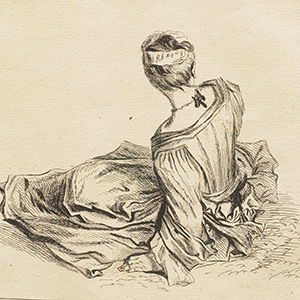 Ananoff, Alexandre. 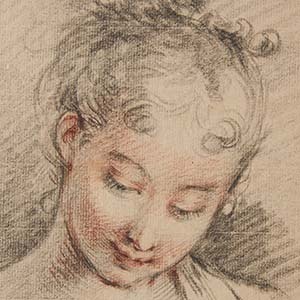 François Boucher, 1703–1770. New York: Metropolitan Museum of Art, 1986.